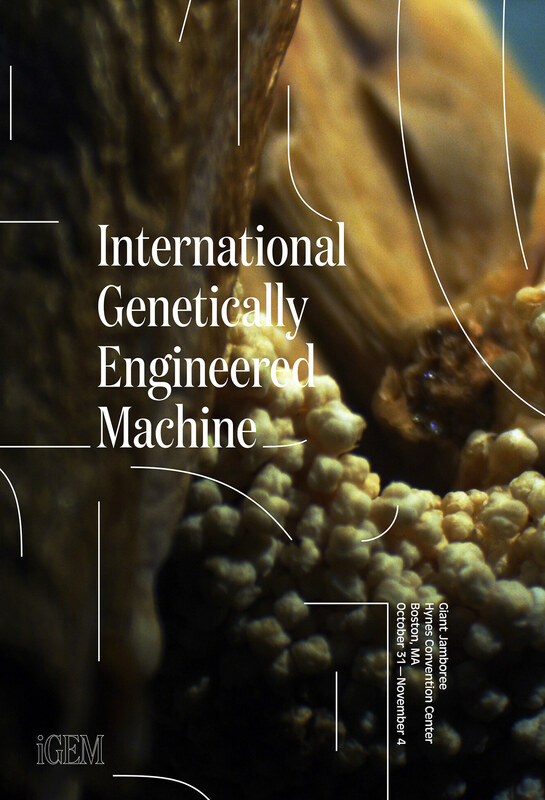 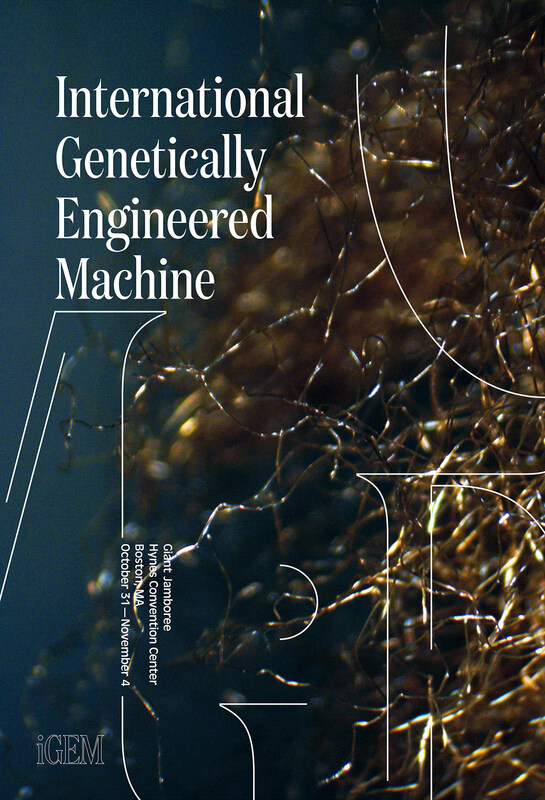 The International Genetically Engineered Machine is an organization based in Boston, MA. 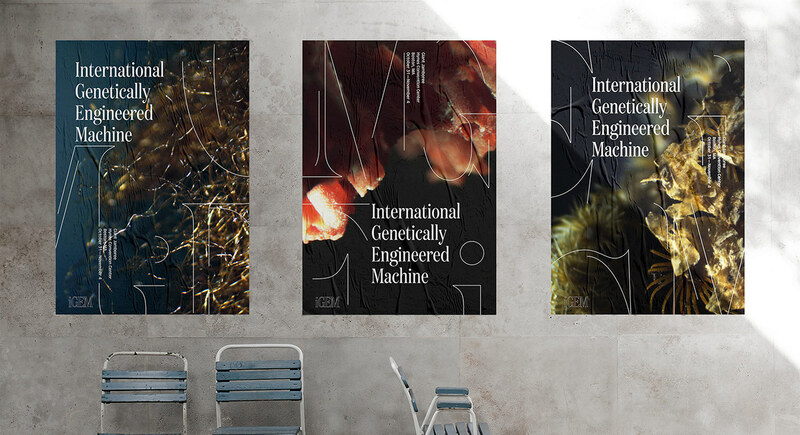 As described on their website, "The iGEM competition gives students the opportunity to push the boundaries of synthetic biology by tackling everyday issues facing the world. 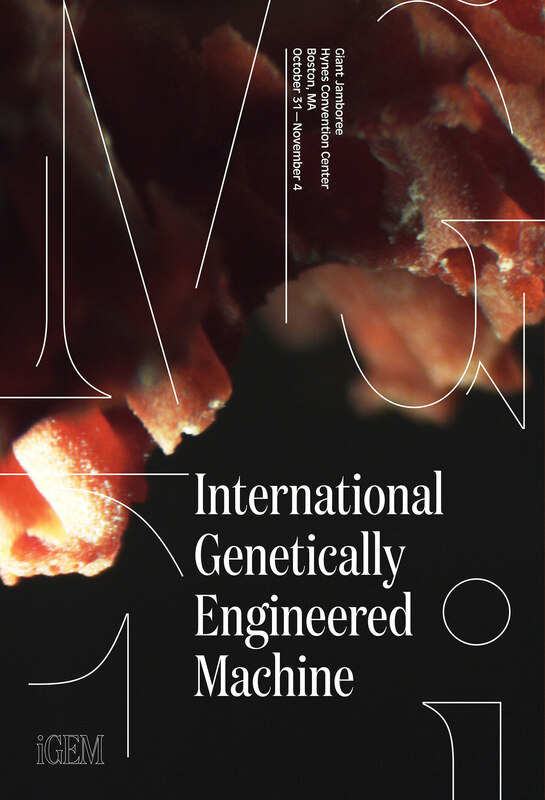 Made up of primarily university students, multidisciplinary teams work together to design, build, test, and measure a system of their own design using interchangeable biological parts and standard molecular biology techniques. 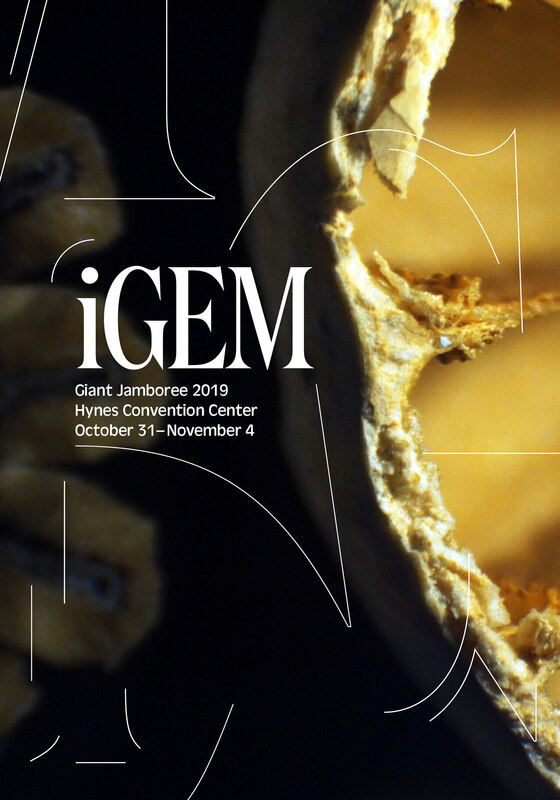 Every year nearly 6,000 people dedicate their summer to iGEM and then come together in the fall to present their work and compete at the annual Jamboree." 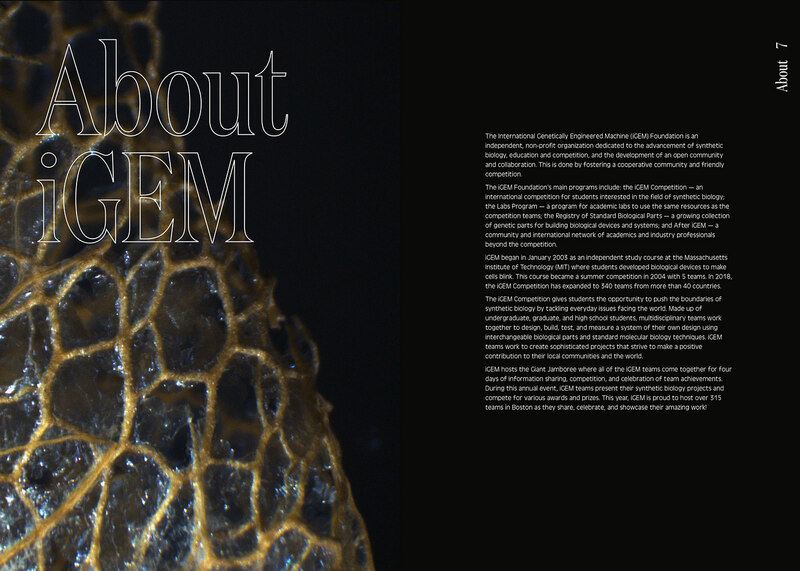 The following is a rebrand of the iGEM Identity, that has taken inspiration from the roots of Synthetic Biology – Nature & Life. 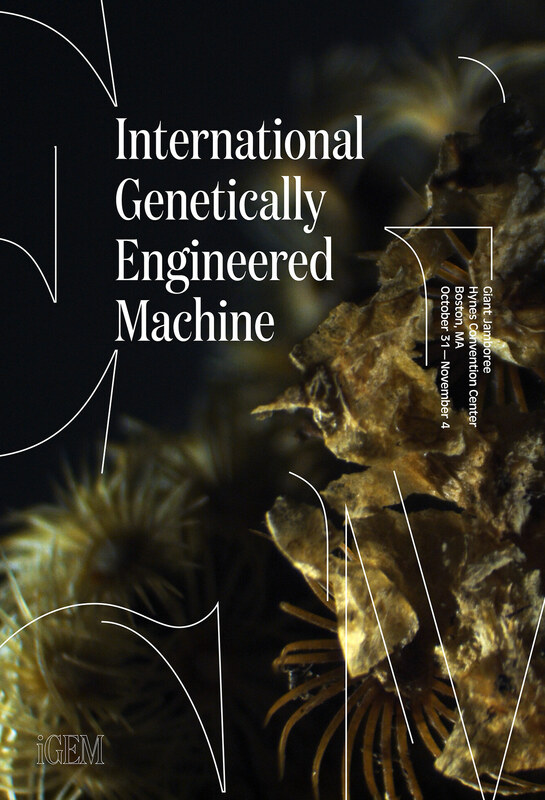 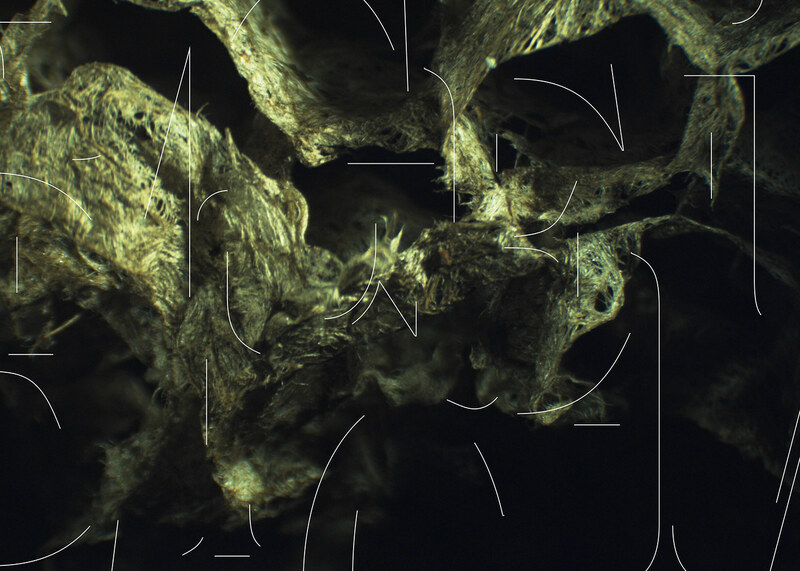 The identity makes use of two typefaces that interact with microscopic images of organic matter that may be commonly found or used in synthetic biology labs. 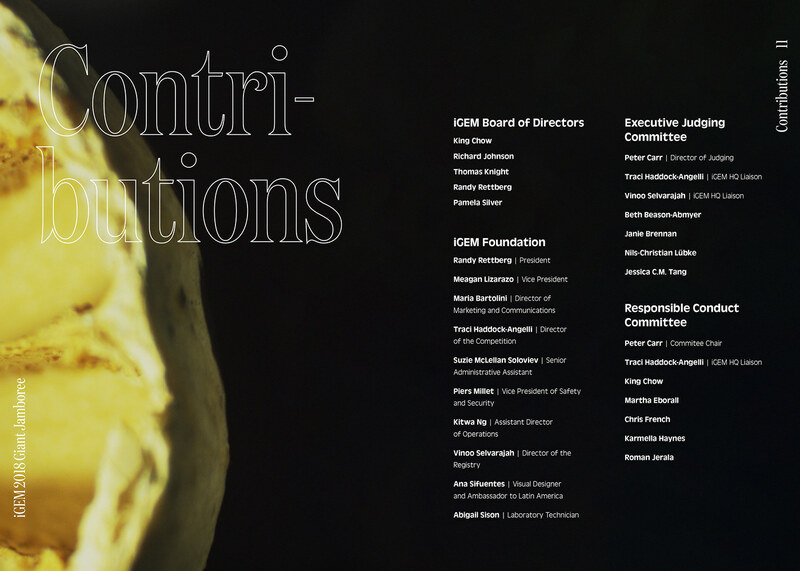 The distinct use of the outlined "iGEM" in Domaine Condensed acts as the organization's Logo-Type, and opens the possibilities for it to be used as the underlying grid for several compositions as demonstrated in the posters. 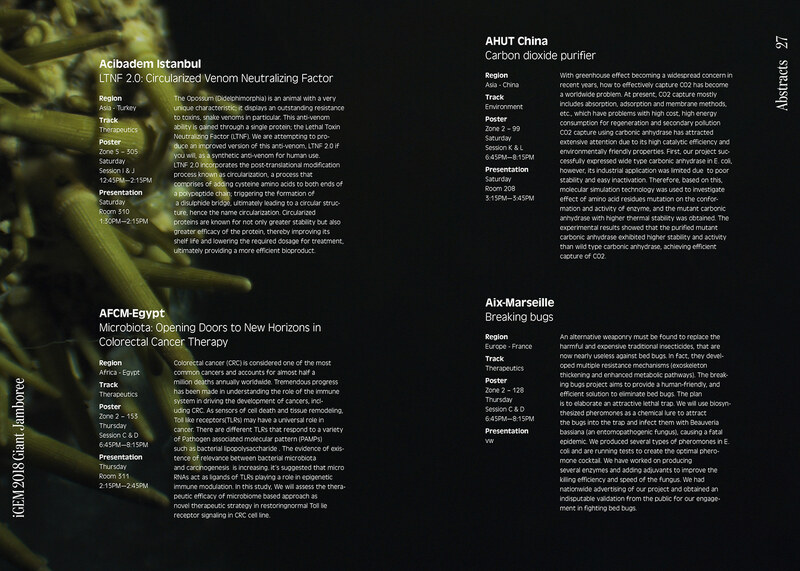 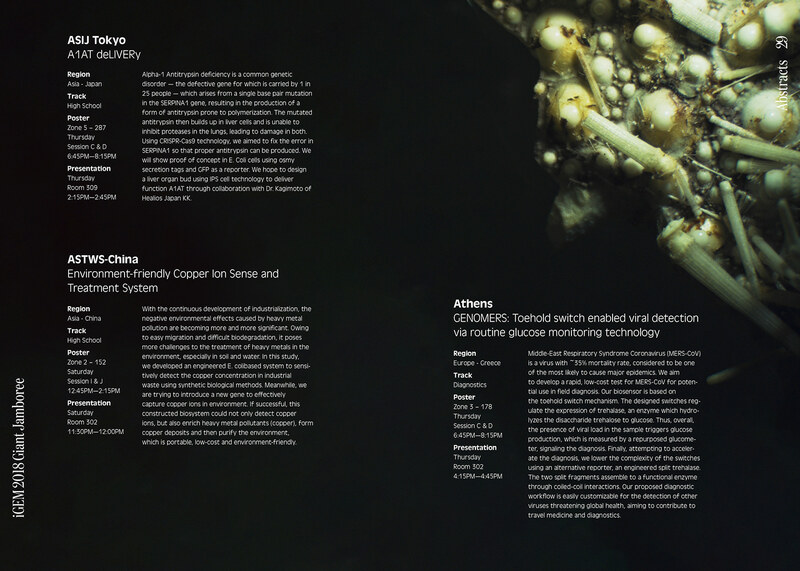 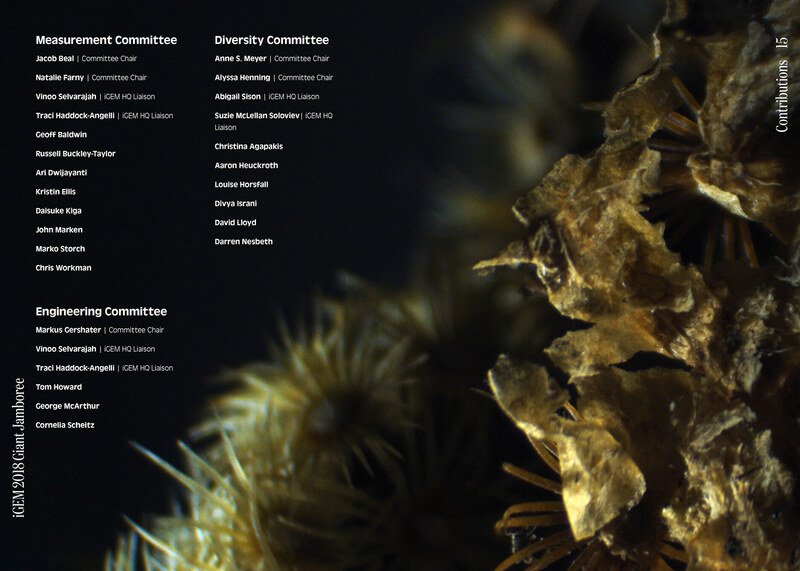 The posters above include images of corals, broccoli, and other species that I have personally worked with for synthetic biology projects. 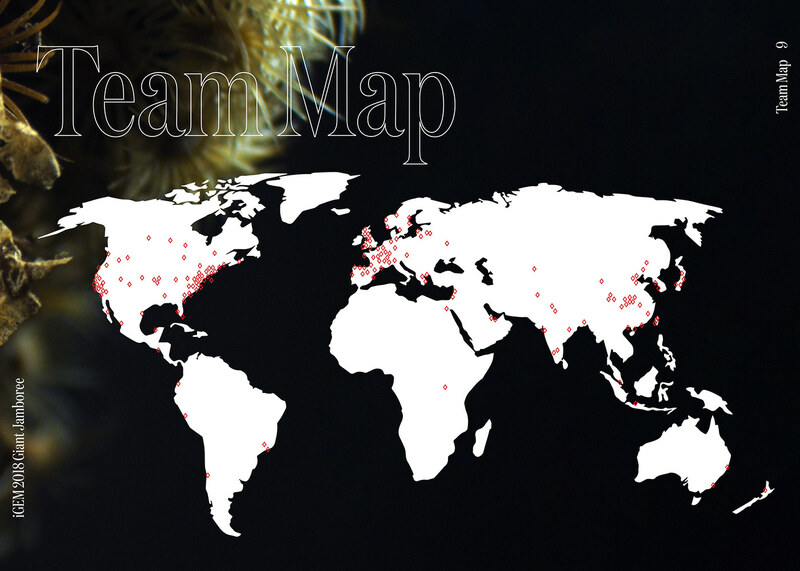 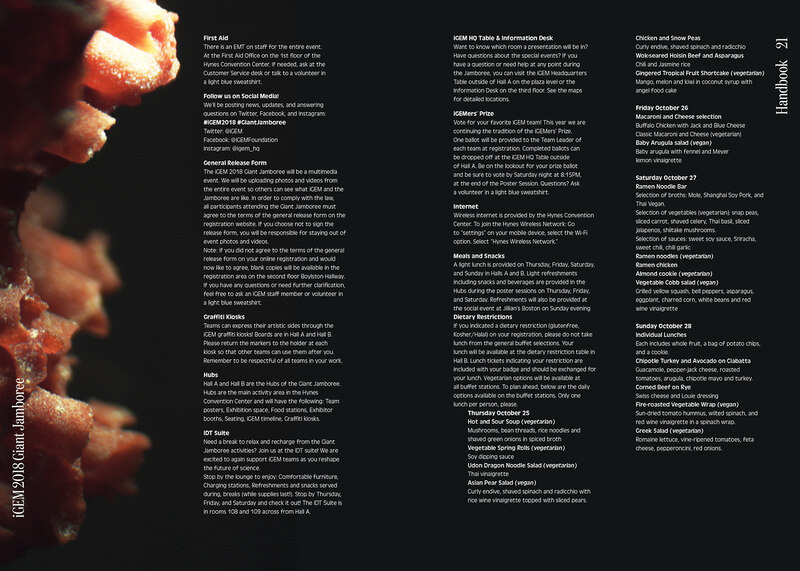 All images used for this project were taken by myself. 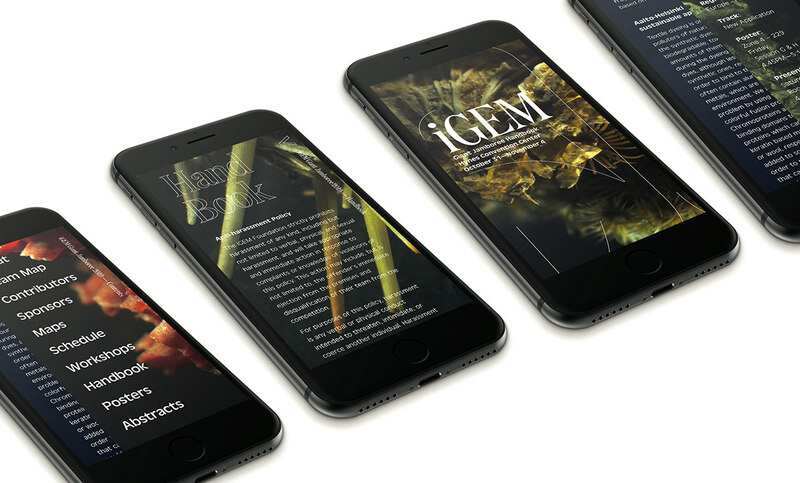 In other instances, the typefaces enable the beautiful nature imagery to standout and be recognized as the iGEM brand. 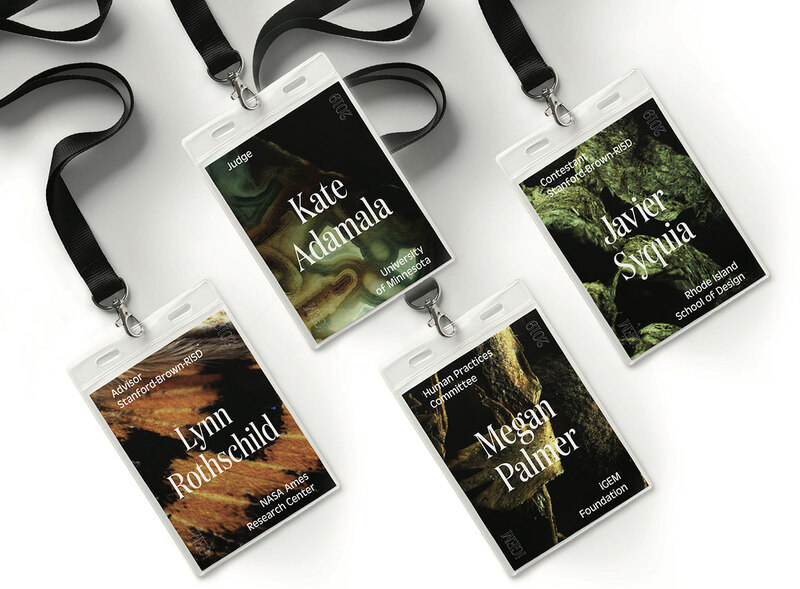 Below are the name tags for the Jamboree, which hold essential information for all the different types of people that may be attending the conference. 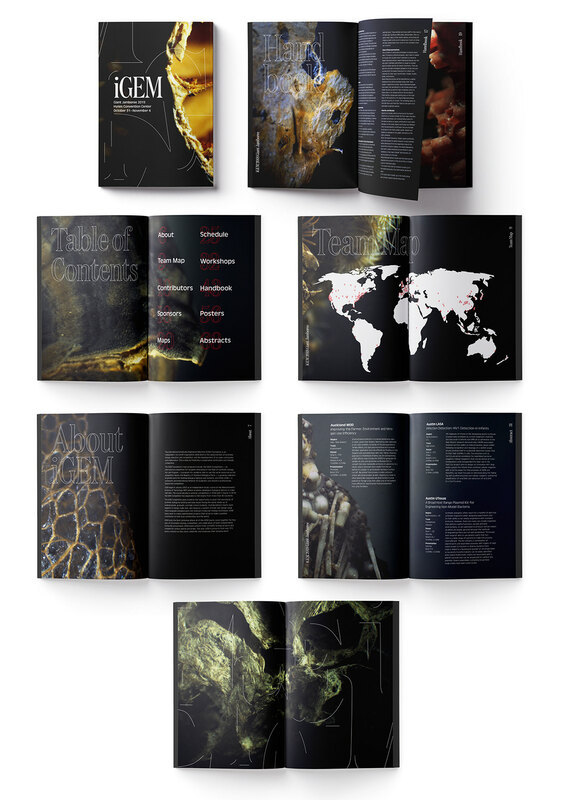 These designs allow the imagery to shine, while the typography holds the required information. 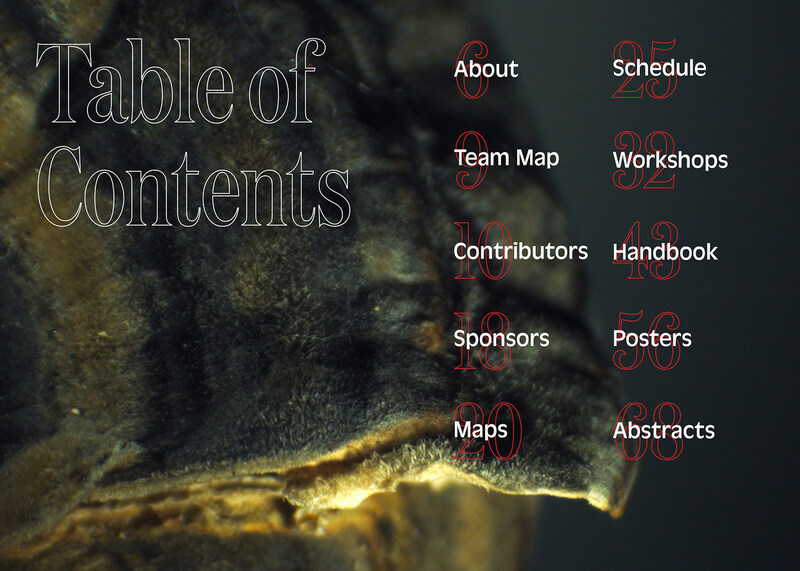 The Official Handbook was also designed in a Print, Mobile, and Web format. 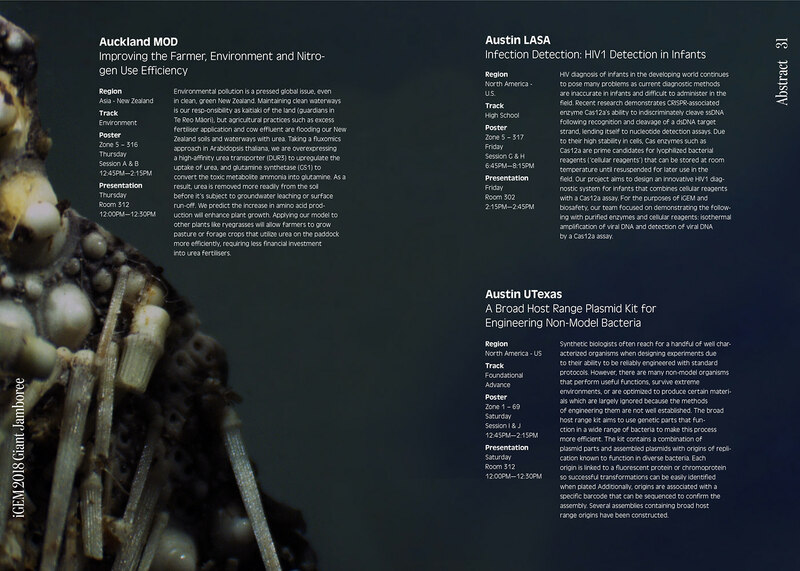 The program was printed on a letter size spread, with each page at 5.5" wide by 8.5" tall. 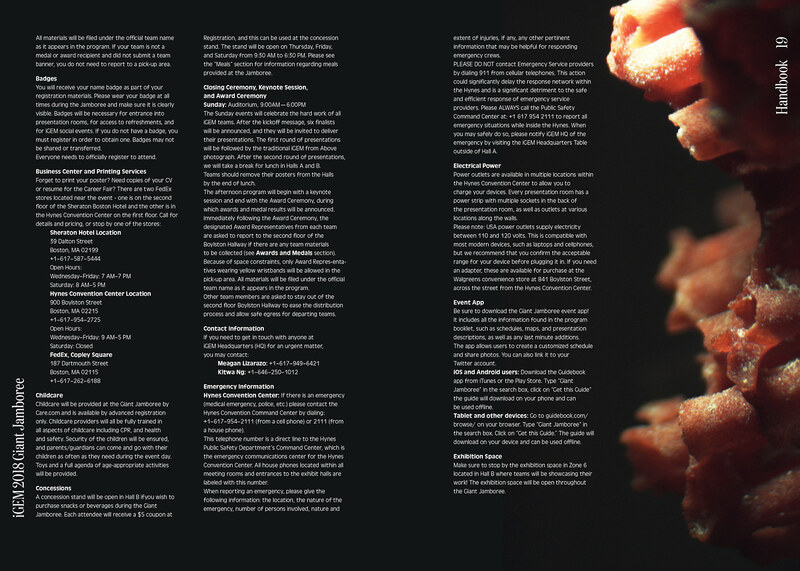 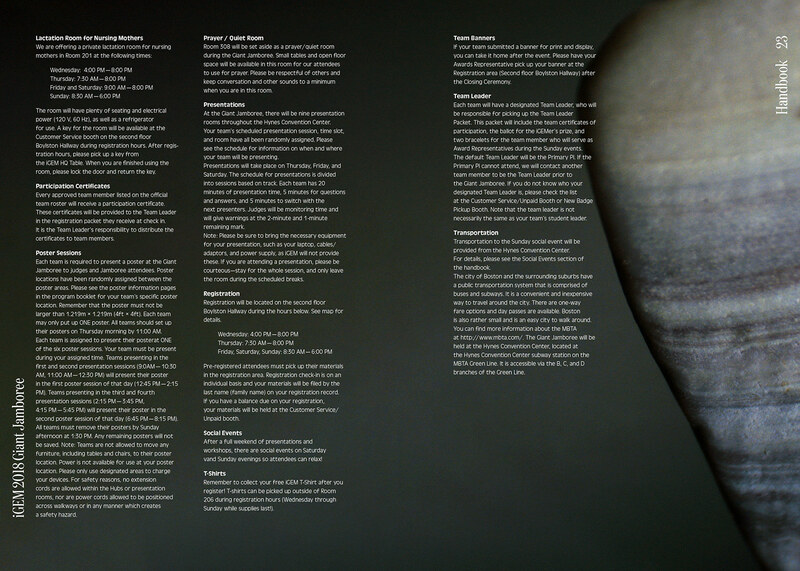 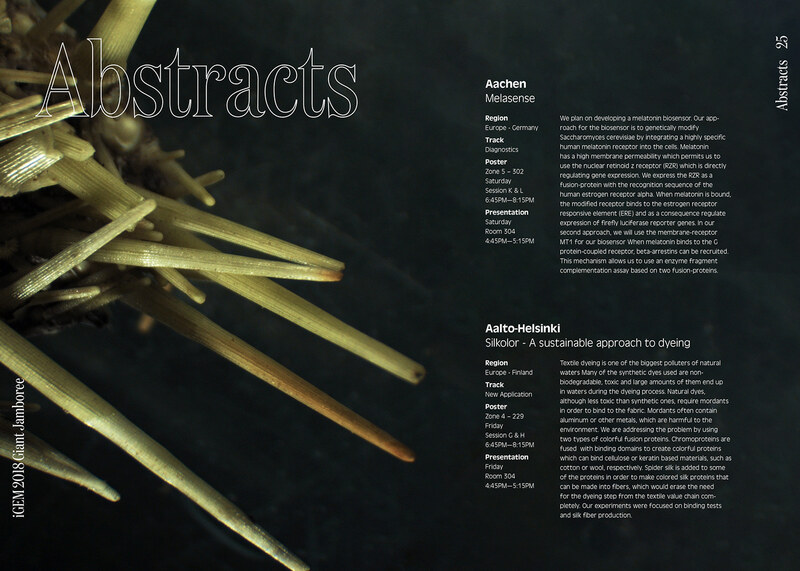 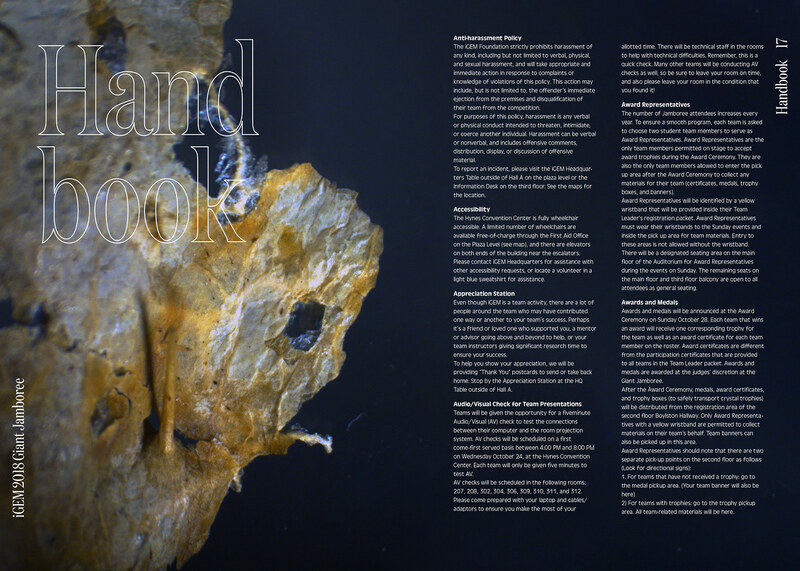 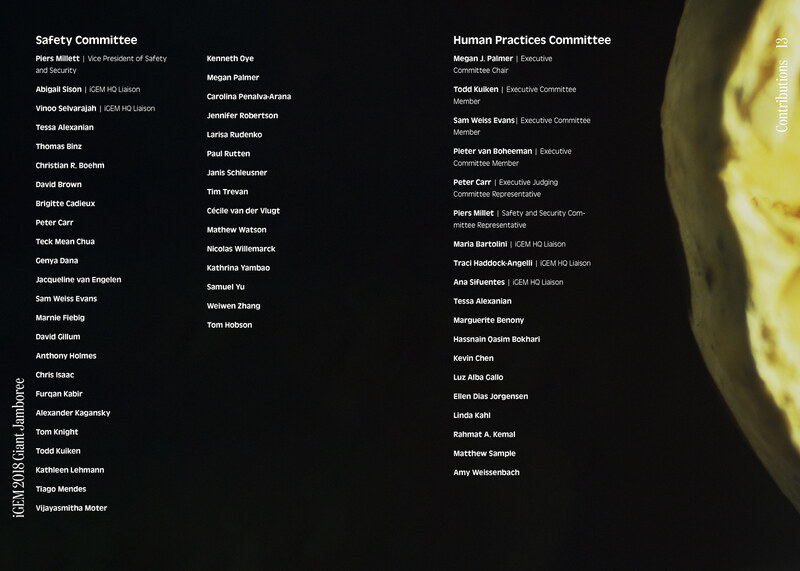 Digital spreads of the entire handbook may be found at the bottom of this page.